The Luxury Goods Worldwide Market Study by management consultancy Bain & Company attempts to quantify the current state of the global industry and predict future trends based on past performance and expert analysis. 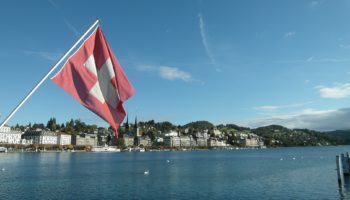 The November edition calculates total sales of personal luxury goods, which includes watches and jewellery along with high end fashion and accessories will total €260 billion in 2018, a 2% rise on 2017, although the increase would have been 6% had Bain not excluded luxury tableware from its 2018 figure. Europe (32%) and the Americas (31%) still account for almost two-thirds of global sales. 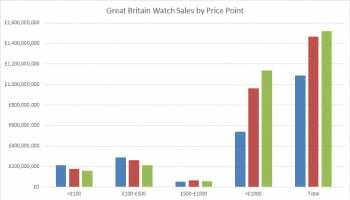 Around one-quarter of global sales were made online for personal luxury goods; a proportion that far exceeds the watch industry. 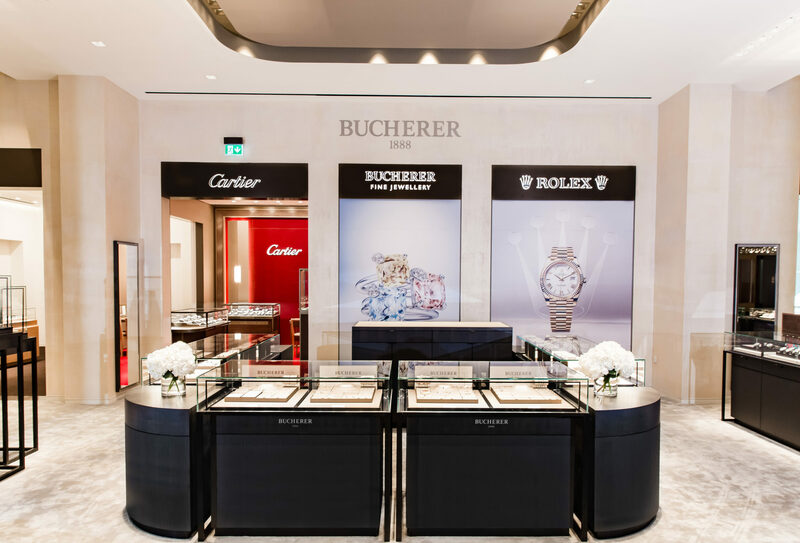 Bain estimates that the market for pre-owned personal luxury goods will be worth €22 billion in 2018, with 80% of that total (€17.6 billion) accounted for by watches and jewellery. 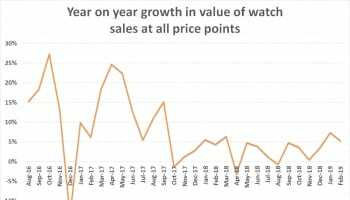 Tim Stracke, chief executive of Chrono24, believes watches dwarf jewellery in second hand sales, and estimates watches account for €15 billion out of the €17.6 billion. 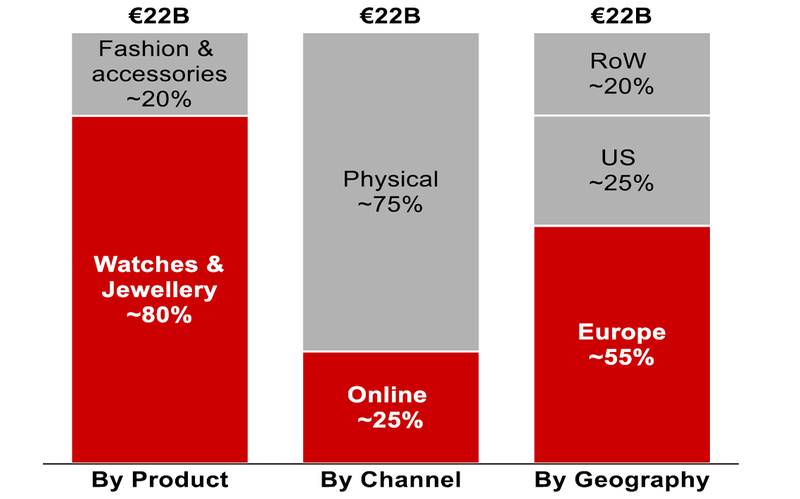 Online sales by high profile businesses like Chrono24, Watchfinder, Ebay and Amazon contribute only 25% of the total market for pre-owned luxury goods, suggesting that the old-fashioned buying and selling of watches between collectors, between traders and their close circles of customers, and through physical jewellers that take trade-ins remains by far the largest part of the market.